BOWIE, Md. - An early ten-run outburst by the Altoona Curve withstood a late charge by the Bowie Baysox in a 10-8 win to clinch Altoona's second consecutive Eastern League Western Division title on Sunday at Prince George's Stadium. The Curve (78-59) have rolled to four straight wins, three over the Baysox (66-71), to secure the top spot in the division and home-field advantage in the Eastern League Division Series against the Akron RubberDucks. Ke'Bryan Hayes and Cole Tucker led the offensive charge with three RBIs apiece while the Altoona leads swelled to 9-0 and 10-1 through the first four innings. Hayes posted four hits for the third time this season while Tucker went 2-for-5 to tally his 41st multi-hit game of the season. Will Craig's 101st RBI of the year and 30th double scored the first run of the game in the first inning. Altoona sent seven batters to the plate in the opening frame and scored a second run on a groundout by Logan Hill . Tucker and Hayes each delivered the first of their three RBIs each in the second inning to put the Curve in front by four runs. Tyler Gaffney reached on a one-out error, the second of the game by Bowie second baseman Rylan Bannon. Tucker's seventh triple of the year plated Gaffney and Hayes' second hit brought Tucker in the last 90 feet. The Curve blew the game open with five runs in the third inning. Two singles and a walk loaded the bases with one out to set up an RBI walk by Gaffney and a sacrifice fly by Tucker. Hayes doubled for his third hit of the game and brought around two more runs. Bryan Reynolds made it a five-run frame on a single that was hit sharply through the left side of the infield that scored Hayes. Altoona tacked on one more in the fourth on an RBI single by Tucker. Bret Helton held the Baysox off the board through his first two innings out of the bullpen but allowed six runs in the sixth as Bowie pulled within three. Two home run swings by Ryan Mountcastle, a two-run shot, and Brett Cumberland, a grand slam, accounted for all six runs for the Baysox. Logan Sendelbach worked the first three innings of the game in the start for the Curve. Bowie scored their first run against Sendelbach in the third inning when two walks set up an RBI single by Ryan Hays. Blake Weiman (Win, 1-0) took over on the mound in the seventh and pitched two hitless innings with two strikeouts. Matt Eckelman (Save, 11) allowed a solo homer with two outs in the ninth to Austin Hays but maneuvered through the ninth to close out the victory. Bowie reliever Zach Muckenhirn kept the Baysox in the game when he limited the Curve to two baserunners over four scoreless inning of work. With Sunday's win, the Curve have now collected four Eastern League division championships over the franchise's 20 seasons. 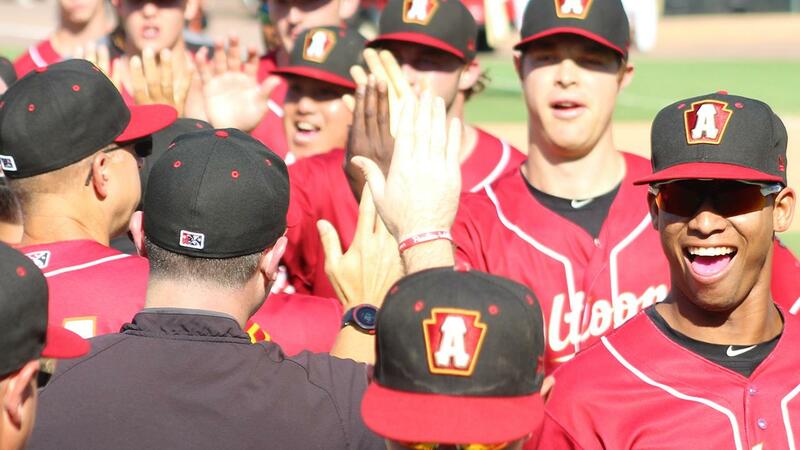 Additionally, the Curve improved to 19 games over .500 for the first time since the end of the 2010 season. The Curve and Baysox complete the regular season on Monday afternoon with a 1:35 p.m. first pitch on Labor Day. Right-hander Dario Agrazal (5-5, 3.0) will take the mound for the Curve while Bowie has Eastern League Pitcher of the Year Keegan Akin (14-7, 3.27) scheduled to start. The Eastern League playoffs begin on Wednesday, September 5 with the Curve traveling to Akron for games one and two of the Western Division Series. The remainder of the series will shift to Peoples Natural Gas Field beginning on Friday, September 7. Game three is scheduled for 6 p.m. on Friday in Altoona. If necessary, game four will have a 4 p.m. first pitch on Saturday followed by game five starting at 2 p.m. on Sunday. For tickets or more information, visit AltoonaCurve.com, call 877.99.CURVE or stop by the PNG Field box office.